It’s been a bad year for North American auto manufacturers. Ford safety defect recall lawyers at Hardy, Wolf & Downing say no settlement has been negotiated yet, but it is still a possibility on the table for consumers whose safety has been put at risk. Our product liability attorneys are standing by to review claims of anyone who has been affected by an automobile recall. Consumers may be entitled to compensation for decreased resale value and maintenance fees at the very least. 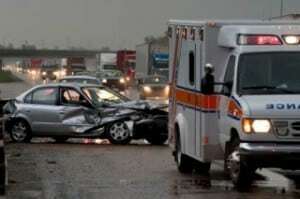 Victims of serious injury due to auto safety defects may be eligible to file personal injury lawsuits to obtain more substantial compensation for medical bills, wrongful death, loss of earning capacity, and emotional suffering. Even though there are still six months left in 2014, more vehicle recalls have been issued in the U.S. than any previous year on record. This year, 37.5 million vehicle recall notices were mailed out – surpassing the 10 to 20 million annual average and the 30.8 million record set in 1981, according to Bloomberg News. The National Highway Traffic Safety Administration reports that General Motors accounts for two-thirds of the total, but that was before the latest Ford recall. These vehicles are at risk of unexpectedly rolling down hills if they are parked without the parking brake turned on, Ford said. Also, the vehicles may become inoperable over time because the right-hand half-shaft portion of the axle is seated in such a way that it could disengage over time. General Motors kicked off the safety concerns in February of this year with 2.59 million recalls – approximately 40 percent of all vehicles sold this year. At least 13 deaths were linked to ignition switch failures. Congressional hearings revealed that the company knew of the error since at least 2004, but did nothing. GM is recalling approximately 40 percent of its vehicles this year, Bloomberg reports. Takata, a Japanese airbag manufacturer, is in the midst of a massive 12 million vehicle recall said to cost the company $444.80 million. This issue affects 1.6 million BMW 3 Series cars from 2000-2006, including 574,000 U.S. vehicles. According to the NY Times, there is concern that the front passenger could be injured with metal shrapnel from a deploying airbag. About 1.7 million U.S. vehicles made by Honda, Toyota, Nissan and Mazda were also recalled for the use of Takata airbags. “No amount of money brings our kids back,” said Doug Weigel of Wisconsin, who lost his 15-year-old daughter, Natasha, in a 2006 crash linked to a faulty GM ignition switch. Natasha and her friend, Amy Rademaker, had been riding in a brand new Chevy Cobalt when the car suddenly lost power and slammed into a row of trees along a rural road. Amy Rademaker died within hours of the crash, but Doug Weigel’s daughter spent her last 11 days in a coma. “I’d go to work everyday, smile and then I’d get in my car to go home and start bawling,” Mr. Weigel recalled. Families in these cases often find that a GM or Ford recall settlement offer is not nearly enough compensation to cover a fraction of the heartache. Filing a product liability lawsuit is a step in the right direction to hold negligent automakers liable for knowingly peddling unsafe vehicles on the market. Speak with dedicated Ford safety defect recall lawyers who have been tracking this story from the very beginning. Hire legal counsel that is willing to take your case all the way through trial, rather than accepting a GM or Ford recall settlement that barely covers your expenses. If you have questions about a possible liability claim, you are encouraged to contact the attorneys at Hardy Wolf at 1-800-INJURED as soon as possible to review your legal options.